Sulawesi has the largest coral reef area in Indonesia, at the epicenter of worldwide marine biodiversity, but is one of the areas most threatened in Southeast Asia by destructive fishing practices. 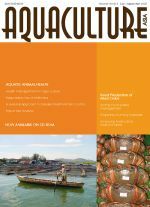 This case study reviews the potential for aquaculture to provide alternative livelihoods for fishers within the context of an integrated, community-based coastal management plan with involvement of local communities empowered to control and steward their resources so that they can conserve and utilise them sustainably. 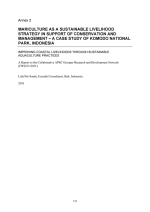 The Nature Conservancy has been working in Komodo National Park since 1995 to establish a marine reserve that 1) ensures long-term protection of the natural community structure, habitat and species and protects a portion of the exploited reef fish stock to enhance fisheries in the traditional use zones inside the Park and in the waters surrounding the Park. 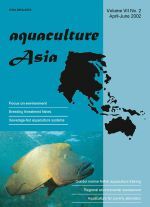 This case study illustrates mariculture activities that could contribute to conservation purposes and more sustainable use of natural resources. 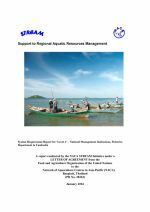 This report describes the national-level requirements for data collection and sharing mechanisms for fisheries co-management in Cambodia. It presents the findings from a thorough literature review and workshops, group and individual interviews. 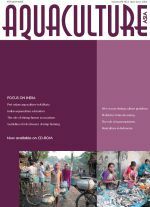 Community fisheries in Cambodia are at a very early stage of development, and the exact management responsibilities are still poorly understood by many stakeholders. This report relates the information needs voiced by participants in this study. 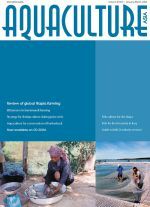 Aquaculture and food security in Iraq. Natural breeding in captivity - conservation of the threatened freshwater featherback Notopterus notopterus. Culture of Penaeus japonicus. Enzymes for sustainable aquaculture. Review of global tilapia farming practices. Fish culture in Yucatan, Mexico. Shrimp farm project planning, preparation and implementation. Coping with low shrimp prices. Efficiencies in barramundi culture. The innovative contributions of women in aquaculture. Marine finfish section. What's new on the web. Aquaculture calendar. scale) irrigation and aquaculture development on these resources. Ornamental fish farming in India. 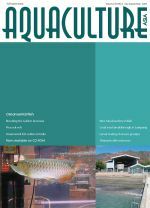 Tilapia for Indian aquaculture? Peri-urban food production in southeast Asia. Socio-economic consequences of shrimp farming in Andhra Pradesh. Breeding techniques for golden arowana Scleropages formosus. Captive breeding of peacock eel Macrognathus aculeatus. Substrate-based aquaculture systems. Extension in shrimp health management - experiences from India. Treatment of disease in freshwater shrimps and crabs in China. Larval rearing techniques for humpback grouper Cromileptes altivelis. Peri-urban aquaculture in Kolkata. Diffusion and adoption of shrimp farming technologies. Aquaculture education in India. Information system on fish germplasm resources in China. Freshwater crustacean aquaculture in China. The role of macronutrients. Innovations by Bengal farmers. Scientific guidelines for freshwater prawn farmers in India. 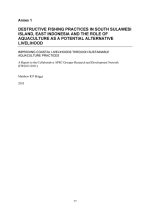 Status of mariculture in Indonesia. Use of probiotics in larval rearing. Problems in shrimp culture during the wet season. Fertilisation, soil and water quality management. Commercialisation of giant freshwater prawn culture in India. 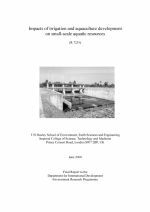 Aquaculture in reservoir-fed canal systems. Production of black-lip pearl oyster Pinctada margaritifera. Hybridisation hassles. Breeding sea cucumber Holothuria scabra in Vietnam. Use of palm kernel meal in feeds. Getting the most out of your feed. Marine finfish aquaculture in Myanmar. Penaeus monodon culture in low-salinity areas. 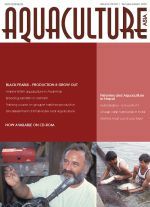 Fisheries and aquaculture in Nepal. Aquaculture for poverty alleviation and food security. Shrimp pond waste management. Properties of liming materials. Seed production of mud crab Scylla spp. The dilemmas of strain selection. Seed production of the crucifix crab Charybdis feriatus. A general approach to disease treatment and control. Breeding and seed production of mangrove snapper Lutjanus argentimaculatus. Responsible use of antibiotics in shrimp farming. Health management for cultured marine fishes. Molecular methods for rapid detection of pathogens in seafood.